The Dow Jones today jumped 86 points in pre-market trading while the S&P 500 sat just points away from an all-time record. The rise was in spite of the imposition of "snapback" sanctions on Iran Tuesday morning. 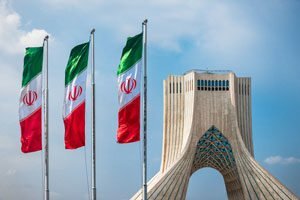 The new sanctions target Iran's ability to purchase foreign currency and commodities. They also place an embargo on the American import of Iranian pistachios and Persian rugs. U.S. President Donald Trump tweeted Tuesday morning that the new sanctions represented "the most biting sanctions ever imposed… anyone doing business with Iran will NOT be doing business in the United States." Iranian president Hassan Rouhani responded by calling the sanctions "psychological warfare." Walt Disney Co. (NYSE: DIS) will report earnings after the bell and lead another day of second-quarter financial statements. Wall Street forecasts earnings per share (EPS) of $1.97 on top of $15.49 billion in revenue. Analysts have been difficult on the company, and many are curious about what the firm will do with its "Star Wars" franchise in the wake of the film "Solo" and its weak audience numbers. In addition, expect a lot of questions about the firm's deal to acquire the bulk of Twenty-First Century Fox Inc. (NYSE: FOXA). The ongoing trade spat between the United States and China continued to dominate headlines. The story that continues to go underreported in the United States is that China's stock market has been in a free fall. Both of its major stock indexes are off about 25% from their 52-week highs. That is happening while the United States is on the verge of experiencing its longest bull market in history. Still, Beijing has blasted the U.S. for the ongoing saga, calling the Trump administration "Double faced" and stating that it will not give in to what it describes as "trade blackmail." In deal news, Cigna Inc. (NYSE: CI) is looking to purchase pharmacy benefits manager Express Scripts Holding Co. (Nasdaq: ESRX) for $67 billion. However, activist investor and Cigna shareholder Carl Icahn has said he plans to vote against the proposed merger. He also plans to encourage other shareholders to follow his lead. Icahn has reportedly sent an open letter to shareholders calling the deal a "$60 billion folly" with a "ridiculous" price. Snap Inc. (NYSE: SNAP) will look for any momentum heading into its second-quarter earnings call. The parent company of Snapchat is expected to report a quarterly EPS loss of $0.17 on top of $215.7 million in revenue. Papa John's International Inc. (Nasdaq: PZZA) will generate some buzz when it reports earnings after the bell. Wall Street wants to know more than whether the pizza chain will report expected EPS of $0.49 on top of $418.3 million in revenue. Analysts will be asking a lot of questions about its transition away from former CEO and founder John Schnatter. Cloud-computing stocks continue to outperform. This morning, shares of Twilio Inc. (NYSE: TWLO) popped more than 15% after the company shattered both earnings and revenue expectations for its second quarter. The company reported EPS of $0.03, a figure well above the expected loss of $0.05 per share. Revenue came in at $147.8 million, a number that easily beat the Wall Street revenue consensus of $131.1 million. Look for additional earnings reports from 3D Systems Corp. (NYSE: DDD), Bausch Health Companies Inc. (NYSE: BHC), Fossil Group Inc. (Nasdaq: FOSL), Match Group Inc. (Nasdaq: MTCH), Wendy's Co. (Nasdaq: WEN), and LendingClub Corp. (NYSE: LC).